Nestled on the very edge of a gorgeous sandy beach, Le Domaine d'Inly offers guests a wide range of luxury camping activities to make use of. 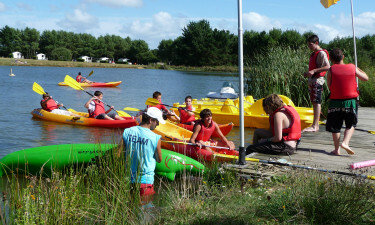 The site comes complete with a picturesque fishing lake as well as horse riding opportunities for guests of all ages. 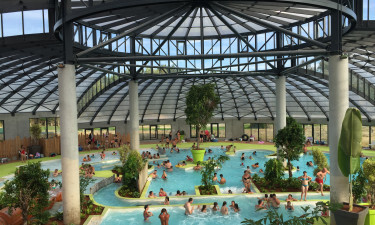 Le Domaine d'Inly is the perfect place for sun-loving families to spend their camping holiday. 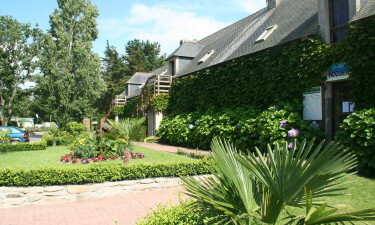 The site can be found in south-east Brittany and there are plenty of charming seaside towns for guests to explore. Why choose Le Domaine d'Inly? Guests will have plenty of opportunities to soak up the sun during their camping holiday as the beautiful La Mine d’Or beach is just a few steps away from the edge of the site. In addition to wandering along the shore, this is a great place to take part in aquatic activities. The large outdoor swimming pool features colourful waterslides and plenty of places to make waves. One area is covered with a solarium so that it can be used all year round, while there are plenty of sun loungers to make use of.